Martin Scorsese released Taxi Driver in 1976, shocking viewers with its scenes of violence and urban decay. This movie is one of Scorsese’s crowning achievements, establishing his credentials for his future career, plus it’s one of Robert De Niro’s best roles as cabbie Travis Bickle. The movie paints a bleak image of New York, seen through the eyes of a deeply lonely and disturbed individual who deal with the ‘true’ face of the city on a daily basis. Taxi Driver plays out almost like a realistic superhero movie; an obsessed individual becoming a vigilante in an unsympathetic world. Travis Bickle is a Vietnam veteran, honourably discharged, who works as a taxi driver in New York City. Scriptwriter Paul Schrader chose this background as a basis for Travis’ psychosis and a reflection of how America treats its veterans; Travis is the man who fell between the cracks. Scorsese portrays Travis’ dystopian world with shots of steaming manhole covers, rain-slick streets, intense faces and shuffling strangers. The city portrayed in Taxi Driver is practically a circle of hell, which ties in with the religious themes Scorsese used; Travis sees himself as a saint, cleansing the city of corruption and evil. Taxi Driver’s story is simple and tightly focused on De Niro’s amazing performance as Travis Bickle. He roams the streets at night, surrounded by vileness, dreaming of making a difference. He tries to reach out for human contact but is continually rebuffed. He trains his body and buys a gun, preparing for a personal war. His desperate need for contact is perhaps reflected best in the mirror; literally in the famous mirror scene where De Niro delivers his much-quoted line: ‘You talkin’ to me?’. Scorsese and Schrader give the credit for this to De Niro, as Travis was only required to talk to himself. Travis is practically schizophrenic, but then so is the world he inhabits; he walks a fine line between being a hero for justice and a crazed killer. When at last Travis meets Iris, the teenaged prostitute played by Jodie Foster, things finally unravel. Her performance and very presence is chilling and hard to countenance, especially in a supposedly modern city. Travis wishes to save her and even hires her, but only to dissuade her from prostitution, but Iris does not wish to be saved. Besides that, she’s indentured to Sport, Harvey Keitel’s blustering pimp. Scorsese now takes us over the edge, as Travis, misguided and deluded though he may be, feels he has done all he can except wage true war. Taxi Driver is an intense movie, both in action scenes and in dialogue; every shot is unrelenting in painting some new aspect of Travis’ hell. There’s an element of surrealism to the atmosphere, despite the gritty realism, as the film focuses so heavily on one point of view. There is little light to the shade. 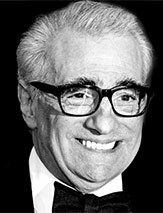 The movie is, like many of Scorsese’s works, a downward spiral which drags the viewer in and does a fantastic job of showing the world through the protagonist’s distorted eyes. This movie is deservedly iconic and has an impressive legacy. 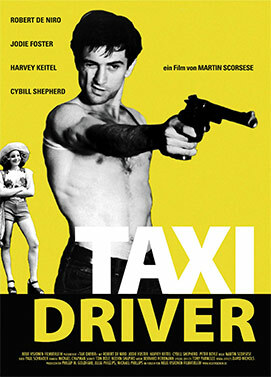 Taxi Driver’s winning of a Palme d’Or at Cannes film festival kicked off Scorsese’s crime movie tour de force.